It’s school time and I’m excited to be hosting a Back to School Pinterest Party with 12 other talented DIY bloggers this Sunday and YOU’RE INVITED! It’s a fun night of doing one of our favorite things…pinning!! 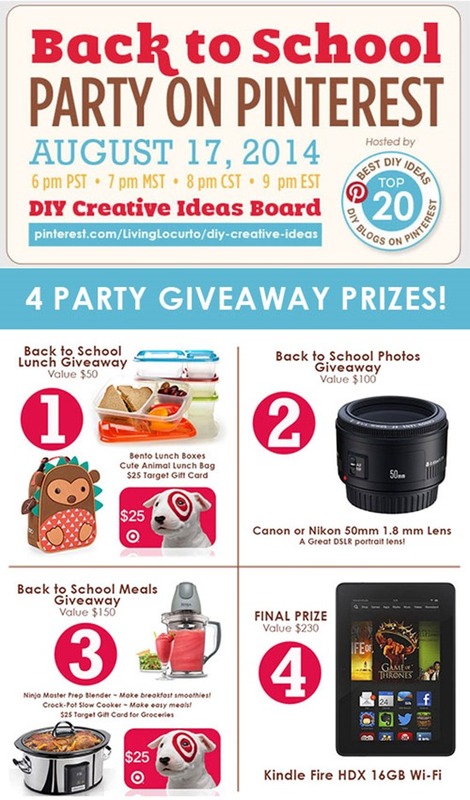 Each party host will be pinning their BEST Back to School Ideas on the DIY Creative Ideas board so you can get great ideas all in one place! There will be crafts, teacher gift ideas, fashion, hair styles, recipes, organization tips, parenting tips, free printables, photography tips, party ideas and more! 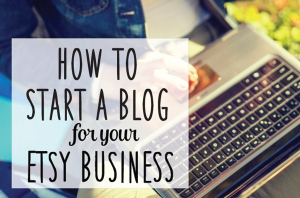 You’ll want to be there to repin and save your faborite ideas. The BEST part is, we’ll be giving away some awesome party prizes throughout the night. You won’t want to miss the fun!!! Prizes: There will be 4 awesome party prizes! You must follow the directions on the giveaway widget below to RSVP and be entered to win the giveaway prizes. IMPORTANT: You MUST be present to win. We will be announcing winners LIVE on Pinterest. Click here –> to Follow the DIY Creative Ideas Pinterest Board. Follow the party hosts on the widget below to RSVP and be entered to win the party prizes. 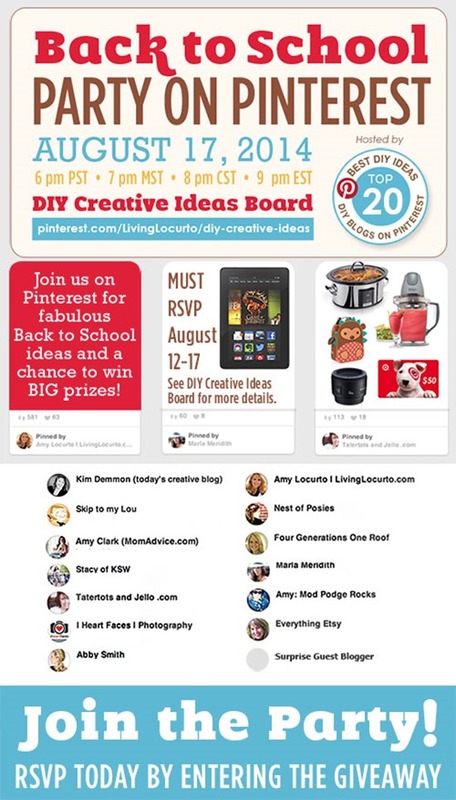 Show up online at the DIY Creative Ideas Pinterest Board, Sunday, August 17th at the correct time for your time zone. Repin your favorite DIY ideas, leave comments and have fun! Be present and watch to see if your name is announced as a winner! If you win a prize – you must claim your prize in a comment under the announcement pin so we know you are at the party. We’ll give the winners 5 minutes and if nobody claims it, we’ll assume you are not there and will choose another winner. I am looking forward to getting my blog up and running, with the help of the amazing bloggers! Can hardly wait! PARTY! Can’t wait! Seriously Looking Forward to this event. Need all the Back to School Ideas I can get. Thanks! 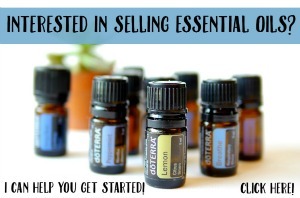 I’ve been gathering up my back to school ideas today…I have some good ones! 🙂 I’ll see everyone at the party! This should be so much fun. I’m looking forward to it. Excited for back to school and fall ideas! Awwww…. I missed out on the widget to enter, am I totally out of this event? Next Post Mollie Makes Magazine Subscription Giveaway!